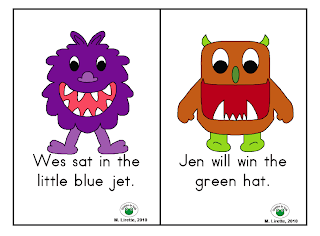 Classroom Freebies Too: Monster Reading! Here are 26 fun-loving monster sentence cards (printable handout also included) that are perfect for any time of the year! Put materials inside of a monster-themed gift bag from the dollar store and you have a great center activity!